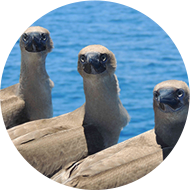 The natural park of the Coral Sea now has 28,000 square kilometres (10,810 square miles) of reserves. Three decrees adopted Tuesday, august 14 by the government of New Caledonia define very precisely the outlines. The 2016 Annual report is on line ! 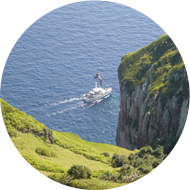 The activities conducted in 2016 are to discover in a report of twenty pages, richly illustrated. You can to see at a glance, and for each party, the related objectives of the Management Plan. Read more about The 2016 Annual report is on line ! Entrecasteaux 2017 : a special year for the green turtles ! 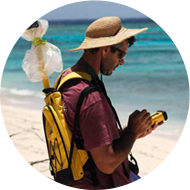 As every year, and since 2007, a team from the Department of Fisheries and Marine Environment (SPE) of the Direction of Maritime Affairs go to the Entrecasteaux atolls, located in the far north of Caledonia to perform a turtles tracking. 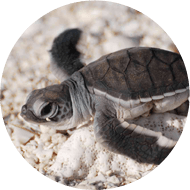 Read more about Entrecasteaux 2017 : a special year for the green turtles !